The Sawyer came to our attention through a particularly dogeared favorite: Bitters by Brad-Thomas Parsons. 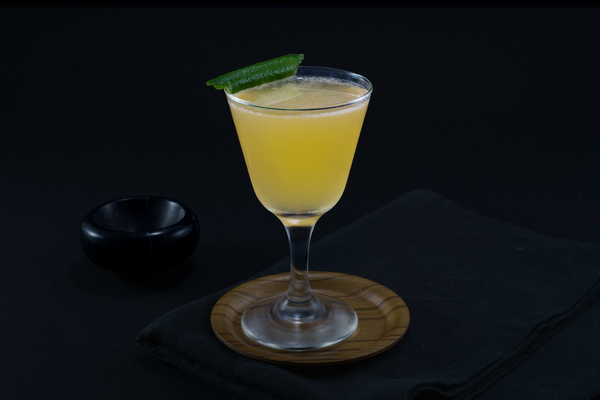 It’s a fast and spicy adventure created by Don Lee, former bartender at Momofuku’s Ssäm bar in NYC, and named after the daughter of Wiley DuFresne, a famous gastronomist and the inspiration behind the drink. The recipe is notable for requesting a lot of bitters—28 dashes to be precise—but what really sets it apart is the ease and joviality those bitters go down with. The three different styles fire together for an intense wallop of sweet citrus peel and baking spice, with fruity flavors so intense, an enterprising bartender might compare the taste to a sophisticated hawaiian punch, or even a sweet tart. A whiff of juniper pokes through the nose nicely, but the gin’s role is secondary overall. The finish is almost entirely bitters, and is also the point when the drink is spiciest and most mouth-puckering. 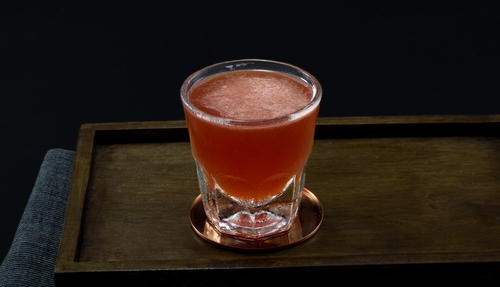 Like similar bitters-heavy cocktails such as the Spruce Goose, alabazam, and Trinidad Sour, the Sawyer is a people pleaser at heart. 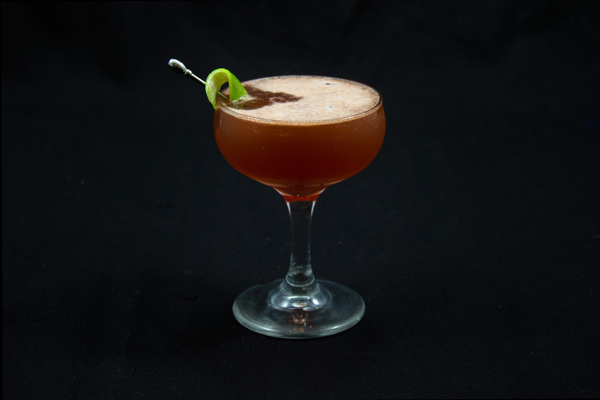 It’s fruity, sweet profile makes for an excellent porch sipper, and its basic ingredients mean it can be quickly thrown together on a limited bar. That said, it would be equally welcome at the end of a rough day; the bitters feel wholesome and enliven the palate, while settling the stomach with a soothing burn. It has a thick, milky texture and a furious red hue. 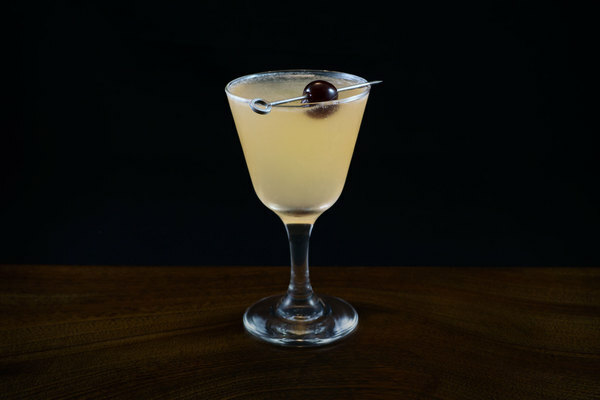 The original version of this drink calls for two versions of orange bitters—Regans and Fee Brothers. If you’ve got em, use em, but this drink will do just fine with only one. Use a clean, simple gin here; a good Juniper nose is particularly nice, so reach for a London Dry if you have it. This drink does not request a garnish, but given the six-cylinder smell on this puppy, feel free to throw something in just for looks.